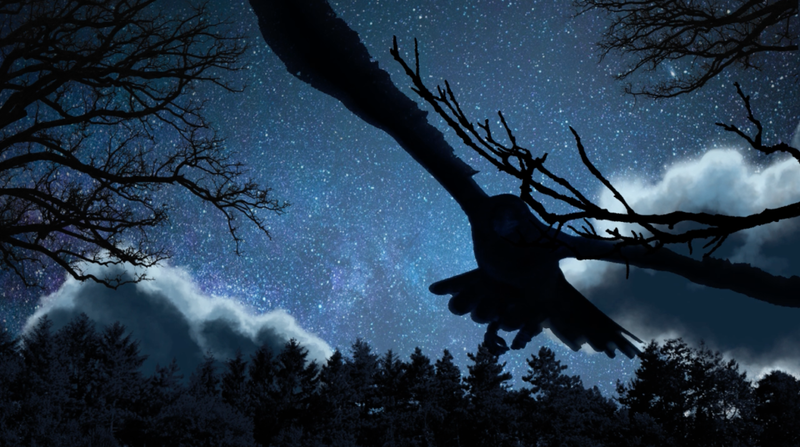 Escape New Haven | Announcing Our Next Game: "Before Moonrise"
We’re excited to announce the impending launch of a game we began designing at our first annual staff retreat way back in February 2018. “(Escape) Before Moonrise,” an escape game for up to 8 players, will replace the Space Station later this spring (exact launch date TBD). We’ve made a lot of changes to our design & build process. 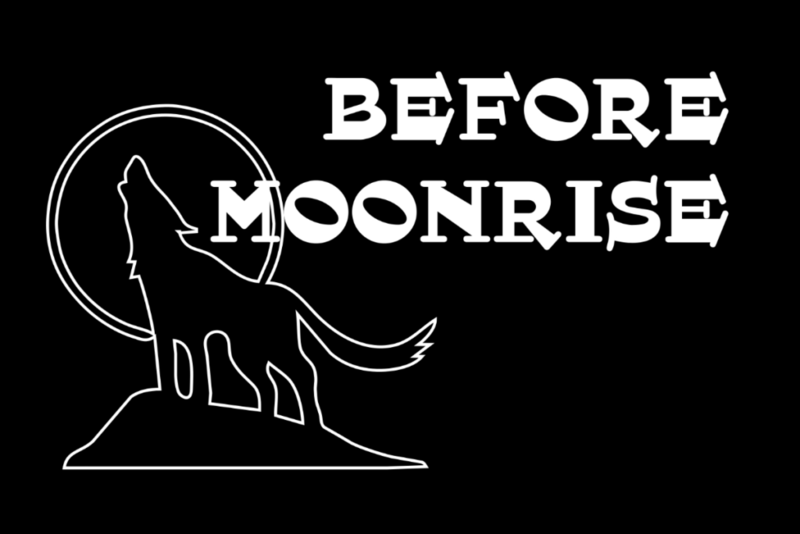 These will probably be the subject of their own blog post(s), but for now suffice it to say that Moonrise will be the first game we’ve ever built without imposing an artificial time constraint on ourselves (i.e. announcing a launch date before the game itself is truly ready). That means that we’ve had to make you wait longer than we’d like for a new game; it will have been almost two years since we launched the Game Show. But it also means that you’ll get to see what we can do when we have the time to make sure our execution fully lives up to our design. Alongside the design & build of Before Moonrise, we also spent a full year working on a different top-secret project: the Escape New Haven Design & Prototyping Studio! 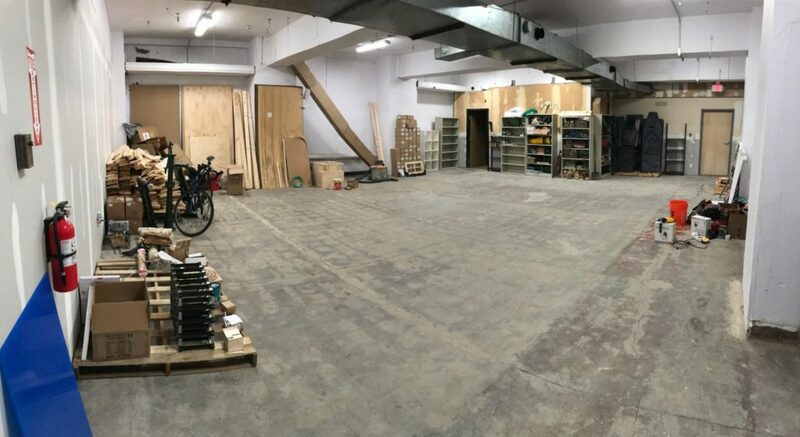 The studio is a high-ceilinged, 1500-square-foot space in a basement on downtown Chapel St, just down the hall from MakeHaven, the beloved local maker space where we do much of our build work. It’s “just” a big white box with an adjoining storage room, but we poured hundreds of hours into working with a variety of people to secure the 7-year lease, do environmental cleanup, build demising walls to separate the space, create new emergency egress, etc. The new studio allows us to prepare and store larger objects — puzzles, props, tech, flooring, wall treatments, etc. — and the proximity to MakeHaven lets us move pieces seamlessly between “workshop” and “storage/testing” modes. 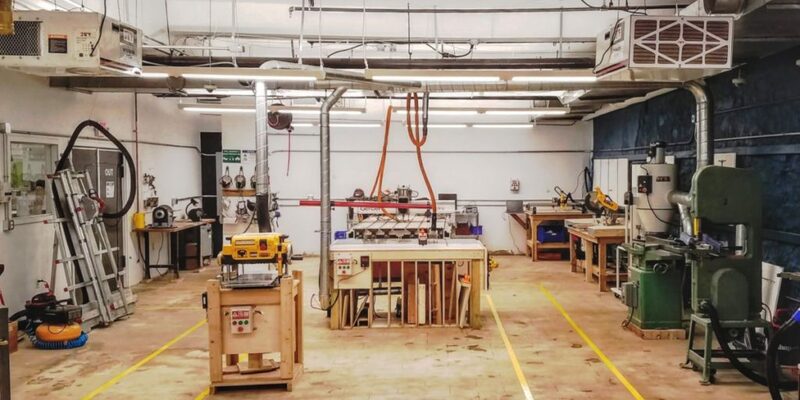 Our staff has 24/7 access, and we offer free MakeHaven memberships to any staff members who show us that they’re regularly using their membership to learn and create, even for personal projects. We’re putting a lot more focus on the theatrical elements of this game than we ever have before. We’ve often felt that while our puzzles and game flow are second to none, our set and sound design never really reached that level. In Before Moonrise, we’re putting a lot of work into elements like a themed game timer, ambient sound that will change based on location and game state, and even scent to add an extra layer of immersion. An in-narrative, semi-automated clue system will allow players to receive hints whenever they want them, with no penalty. Game operators will still intervene when needed, but players themselves will have much more agency. We made sure to make the system fun to soften the blow of needing a clue — in fact, we’re guessing that players who don’t need clues will end up using the system anyway, just to see what happens. Before Moonrise will offer winning teams a meaningful choice at the end of the game. Each team’s decision will determine not only their finale experience, but also their post-game experience. And of course, we haven’t forgotten our first loves: the puzzles. Returning players will experience what they’ve come to expect from our designs: varied, challenging puzzles that will engage the entire team. We hope you’re as excited as we are for Moonrise. We don’t have a definitive release date for you yet, but I will say that things are coming together here and we’re working hard to get the new game ready as fast as we can. Thanks for sticking with us! Newer Post Escape 2.0	Older Post Halloween Update: New games. Staff highlights. Riddles in the dark.